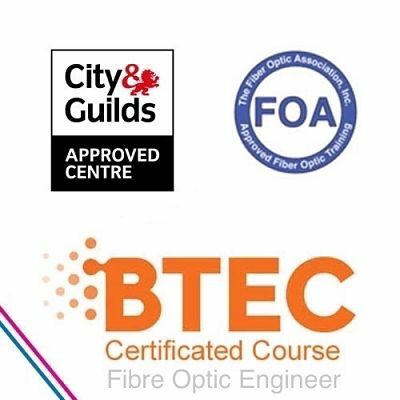 An ex BT engineer London – Your local telephone engineer covering London areas. Ring us now to enquire about any telephone, broadband or data issue. Welcome to London’s local Ex BT Engineer website. An ex BT Engineer covering all areas of London, providing residential and business services. Telephone, WiFi, Broadband Fibre Optics and Cat5e/Cat6 data cabling. Your one-stop destination for all telephone, broadband and data needs. Be it new cabling installation or BT fault resolution. or facing issues which require the attention of a London ex BT engineer, look no further. offers a variety of solutions at a fraction of the cost. The only ex BT engineer you will ever need to hire in London. Working according to the same quality standards set by industry-leading telephone and broadband service providers. or need help with Cat5e and Cat6 cables. This site can provide you with all the telephone and broadband repair services, with a London telephone engineer. Walk down Queen Victoria Street towards Blackfriars. After passing the church of St. Benet, Paul’s Wharf on your left you will walk past what, at first glance, appears to be a very bland and utilitarian building. The General Post Office (GPO) opened the first London telephone exchange on this site in 1902 with the existing building being completed and officially opened in 1933 to accommodate the very significant growth in telephone services across London. It was designed by A.R. Myers, an architect of the Office of Works who was responsible for the design of a considerable number of Telephone Exchange buildings and Post Offices across the country. With 620 square miles, London is the biggest city in Britain, and in Europe. It was established as a Roman settlement, called Londinium, in 43 AD, almost 2000 years ago. Of course at that time, it was much smaller than it is now.Londinium occupied the area where the financial centre of London, often simply called "The City" or "The Square Mile," is now found.Eventually it spread out and now includes 32 boroughs, 13 in "Inner London" and 19 in "Outer London." These include the City of Westminster with its many famous buildings such as the Houses of Parliament and Big BenLondon SW1A 0AA, Buckingham Palace Westminster, London SW1A 1AA.London has had a few problems in its past, The Great Fire of London, London during the blitz, yet all overcome. The same goes for your broadband and telephone service, with Ex BT engineer London.Don't suffer in silence, call us and let us help resolve any issues you may have. Just in front of the Tower of London is Tower Bridge in SE1 4TW (often mistaken for London Bridge). Tower Bridge is one of London’s most iconic landmarks and has sat astride the River Thames since 1894. This Victorian bascule steam-powered bridge was a feat of industrial engineering in its time. Now, it’s been opened up to the public to take a look into the bowels of the bridge. You can also walk across the top supports featuring the new Glass Walkways to look down at the river. Great views up and downstream, it’s a great historic building in London.Another famous historic site in London is Westminster Abbey, located at 20 Deans Yd, Westminster, London SW1P 3PA The stunning Gothic UNESCO World Heritage Site and coronation church since the 11th century. Westminster Abbey is one of the most beautiful and impressive historic buildings in London. It is the burial ground of some of England’s legendary authors, scientists and great thinkers. Charles Darwin to Geoffrey Chaucer. It’s been in the spotlight more recently as it was the site of Kate & Wills’ wedding in 2011.Opened in 1871 the Royal Albert Hall, Kensington Gore, Kensington, London SW7 2AP One of the capital’s most prestigious historic buildings and tourist attractions. It has been the scene of over 150,000 performances including the celebrated BBC Proms.